Hear the stories of success from ITHM university sponsorship students who are positively impacting Kenya's society. Maggie's childhood was one of despair and pain. As an orphan, she lived under extreme physical and emotional abuse. She prayed daily at the local church for God to come to her aid. Her heart's desire was to be loved and go to high school. God answered her prayers by connecting her with ITHM at the age of fourteen. 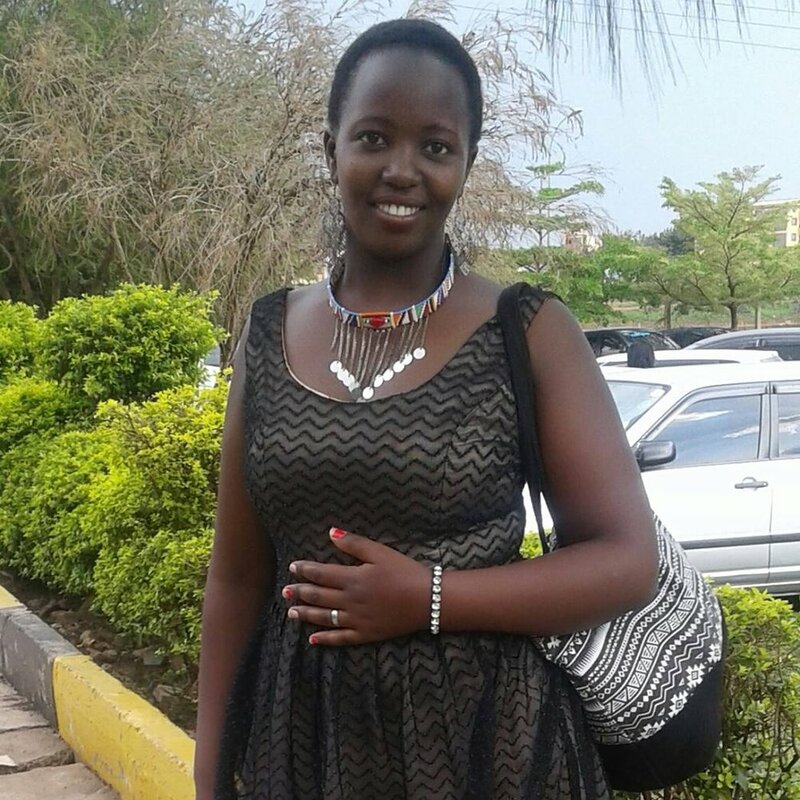 Upon completing her undergrad at Kenyatta University, Maggie is now a chemistry and math teacher at an international school in Nairobi, Kenya. Maggie is thrilled to be part of the Lawrence and ITHM family. She knows she belongs, and now ministers the love and compassion of Jesus to other suffering young people. Since graduation she has also written and recorded her first gospel song and video. Click here to see her and all of our ITHM college students perform. Helping Kenyan youth build a brighter future. Alice Kari (Kah-ray) is the sister of Maggie. Alice grew up under the same despair and could not imagine how she would escape the daily abuse she suffered. Since joining the Lawrence and ITHM family at age fourteen, Kari has learned both what family means, and what it means to belong to the family of Christ. Now a certified massage therapist, she uses her skills to bring comfort to those in physical pain. Kari and her husband, Abraham, are great parents to their son, Lawrence. Having mentors in her life is a game changer for her since her own mother passed away at an early age. Many of our sponsorship students come from backgrounds of severe hardship and suffering. With the support of ITHM, they have a community and the resources to hold onto hope. At age 14 and in 7th grade, Leticia joined ITHM's scholarship. When she was young, she believed her life had no value. Leticia suffered through many hardships, and was thankful when ITHM showed interest in her. As Leticia's relationship with God grew, so did her self-esteem. She now knows the Truth and she excelled in her studies. "Leti" just completed the IATA liscenisng exam, and is now certified to become a travel and tourism agent. Hannah had lost hope of an education and safety after her family was forced to flee from their home during the 2007 post election violence. At that time, Hannah lost her father, and her mother struggled to provide food on a daily basis for her and her siblings. ITHM became acquainted with Hannah after the hardship of making it though high school with little support. Through ITHM's scholarship program, Hannah now studies Catering. She is joyful and working hard at her studies so that she can have a brighter future. She knows the love of Christ and is growing in her relationship with Him. Make a difference and become a sponsor.